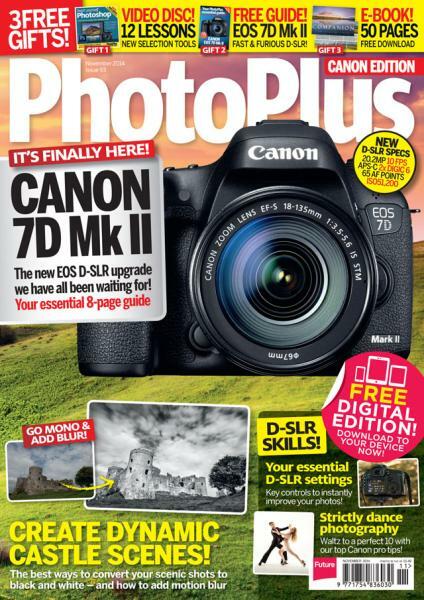 Photoplus Magazine is a dedicated magazine for Canon DSLR camera owners with brilliant tips and advices to have better results out of your cameras. The easy to follow guides and tutorials are most relevant to your camera to have a wonderful time clicking some great shots. The magazine talks about vast types of photography like high speed motorsport photography, nature photography, portrait photography, even people and kid photography all with your Canon DSLR, EOS and rebel cameras. The quick fix tips, expert advices, smart edits through Photoshop and efficient photo sharing tricks makes this magazine a must read for every Canon camera owner and otherwise too. The easy editing of the photographs is self explanatory to allow you have the perfect professional like photographs. The Photoplus magazine extensively covers the tests reviews with technical specifications of the cameras to give you idea about the kind of camera you would like to own based on your requirement and interest. I find the magazines helpful and informative.